Tank Connection designed a special style of rafter ring for this bolted storage application. The rafter ring was designed to set within 1 inch of the grating level per customer request. In addition, the nozzles were designed to protrude through the platforms to give the customer access to bolt the piping to the flanges. 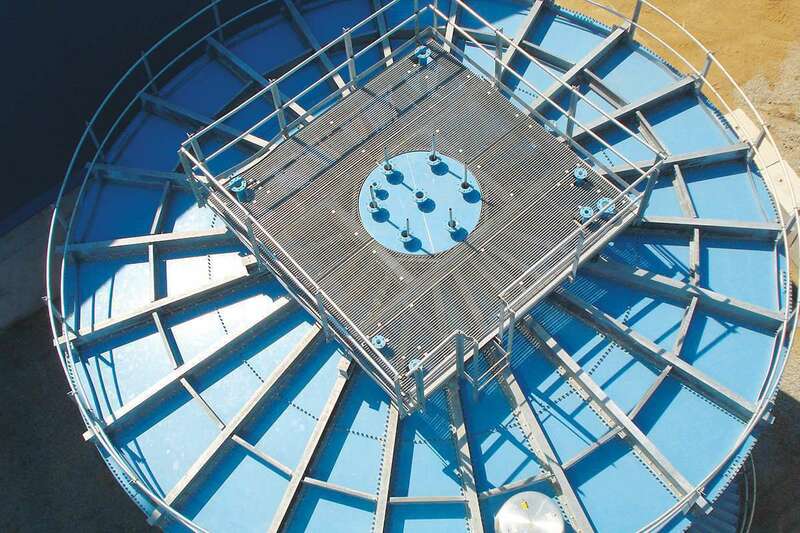 Tank Connection offers the best water containment systems available in today’s market. Tank Connection’s proprietary LIQ Fusion 8000 FBE™ is NSF 61-certified and is unmatched in performance. LIQ Fusion 8000 FBE™ is a stronger system than “porcelain enamel/glass” for all types of potable water, process water and wastewater applications. Tank Connection is recognized as a global leader in storage containment applications. 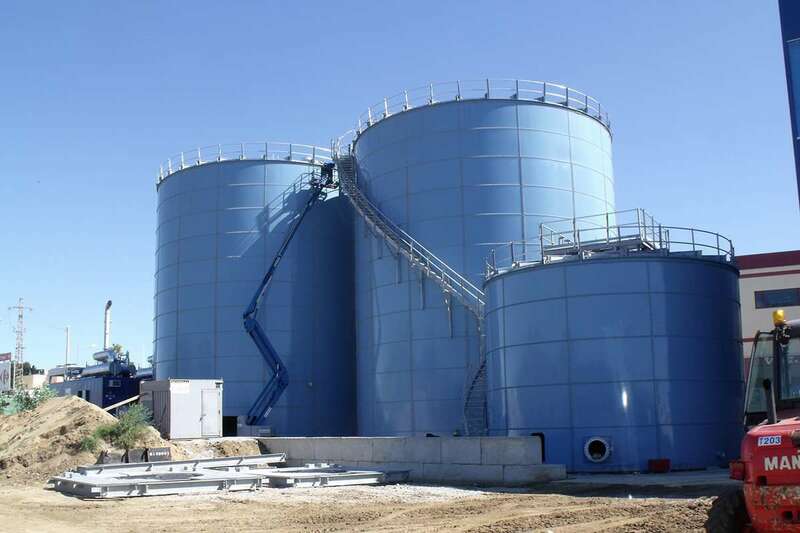 Tank Connection is the only tank supplier worldwide that designs, manufactures and installs all four major types of steel storage tanks including bolted RTP (rolled, tapered panel), field-weld, shop-weld and hybrid tank designs for industrial liquid storage. Our precision RTP construction is the #1 bolted tank design selected worldwide. The best features of bolted and field-weld tank construction have been combined together in the RTP design. It remains unmatched in the industry in all category ratings. 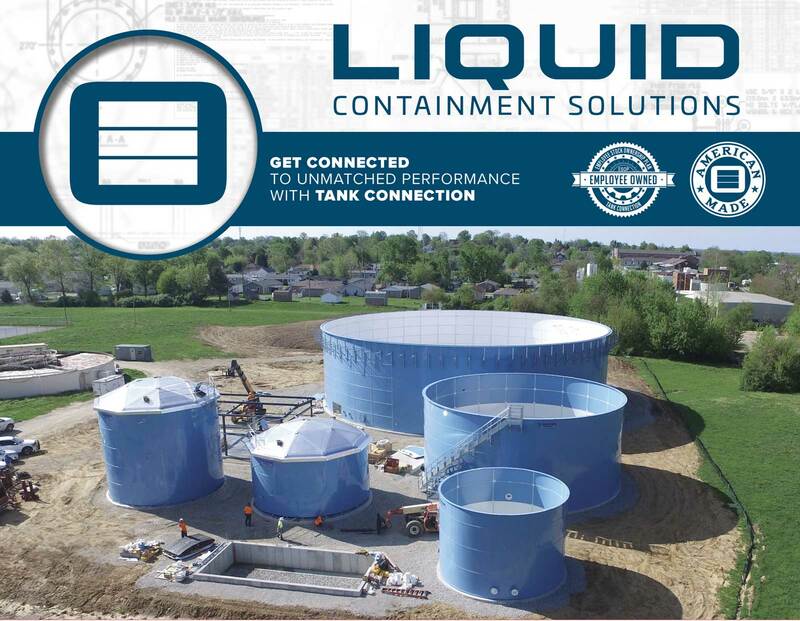 There’s a reason why Tank Connection is recognized as the leader in liquid storage and it all starts with consistent, reliable performance on every project. 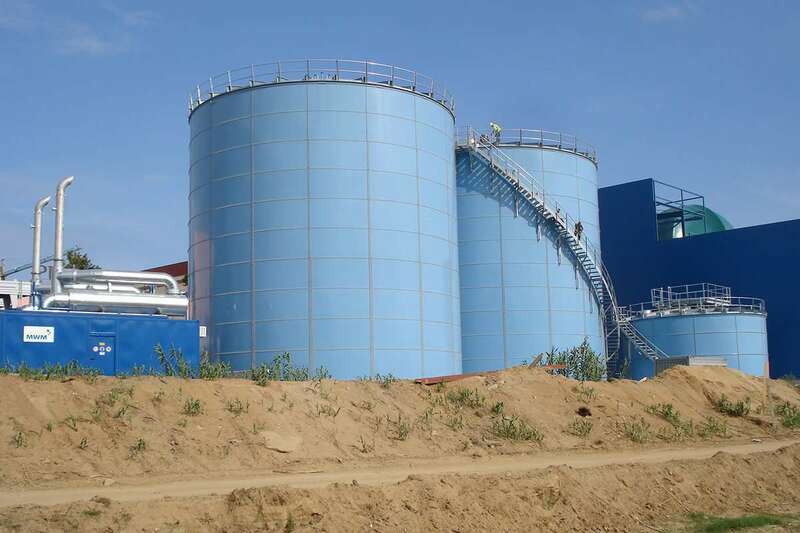 If your project involves a single silo or an integrated storage system, no one offers more services and creative solutions than Tank Connection. From the quote stage through order process, drawing approval, material fabrication and field installation, Tank Connection will provide streamlined processing and “Golden Rule” customer service. 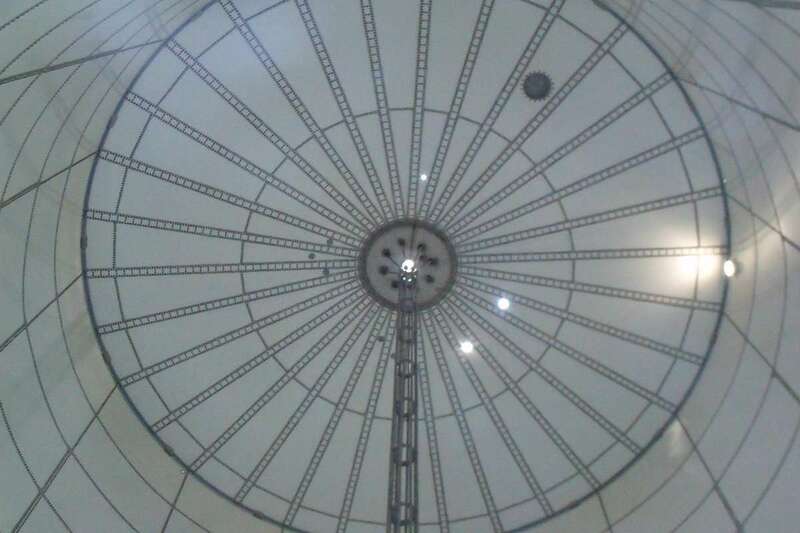 Tank Connection designs, manufactures and installs liquid tanks in bolted RTP construction in sizes ranging from 95 up to 30,248 cubic meters. 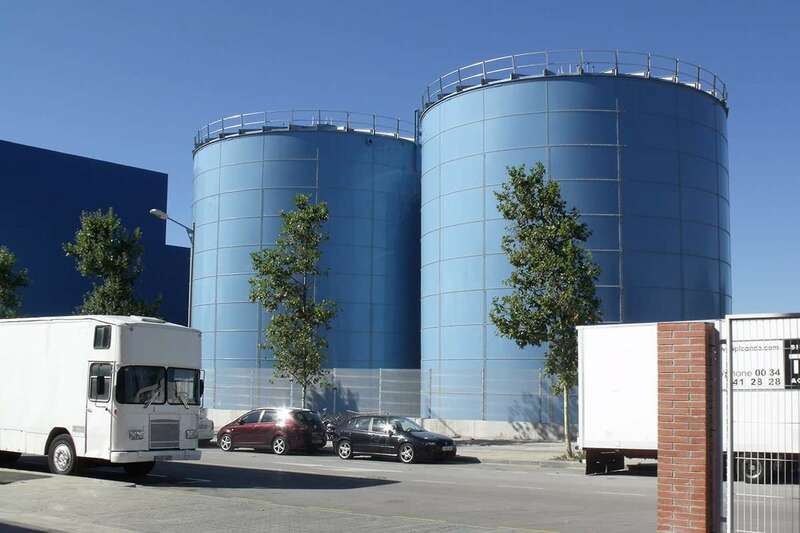 Tank Connection field welded tanks are available in sizes ranging from 380 up to 94,630 cubic meters.